More budget phones are getting Samsung’s AR Emoji feature. The company is rolling out an update for the Galaxy J6 bringing the camera feature to the device. The update also includes the November 2018 security patch. First launched on the Galaxy S9/S9+, Samsung has been introducing the AR Emoji to a number of its mid-range and budget phones lately. Devices like the Galaxy J7 Duo, Galaxy J8 and the Galaxy A6+ are some of the recent ones to get the feature. And we can rest assured we will see AR Emoji on more Galaxy devices in the coming months. 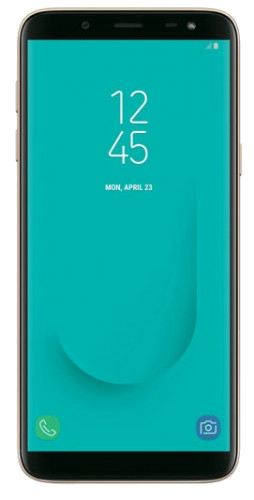 The Galaxy J6 is getting a new update which brings the firmware version J600FNXXU3ARK3 to the device. It is an Android 8.0 Oreo based update that adds the AR Emoji feature to the Camera app. While the feature may not work as smoothly as it does in flagships, you’ll certainly find a good use of it to make emoji based on your own face. If you are not sure, you may read our post about what AR Emoji is and how to use it. Samsung is rolling out the update in the Netherlands, UK, Germany and many other European countries. It is an over the air (OTA) update and may take some time to reach your device. When available, you should get a notification to download the update which weighs 360.18 MB. You can also manually check for updates under the Software update section of the Settings app on your device. Alternatively, you can also download the update file from our firmware database. Hello, will this come to J5 and J7 of 2017? both devices already have Oreo 8.1, is there any chance? Good news I suppose. But AR Emojis are for children. They should be concentrated on more important stuff.